Rolls-Royce and Areva have signed a major supply agreement that will put Rolls-Royce’s new nuclear manufacturing facility at the heart of the UK supply chain. The deal was announced as the UK and France launched a new cooperation agreement on civil nuclear development. Prime Minister David Cameron said the agreement was “just the beginning” of investment which could be worth £60 billion and create 30,000 jobs. Under the new agreement, Rolls-Royce will supply Areva with a range of complex components and engineering and technical services for the first of its EPR power stations to be built in the UK. The work will be worth around £100 million revenue to Rolls-Royce for each EPR, with much of the value feeding down the UK supply chain. 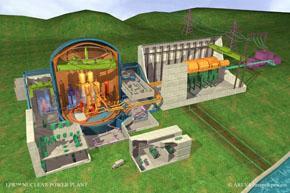 EDF Energy is proposing to build two EPRs each at Hinkley Point, Somerset, and Sizewell, Suffolk. EDF also announced a number of new developments, including a £100 million contract with Kier BAM for site preparation at Hinkley Point C.
The other new-build consortia, Horizon Nuclear Power and NuGeneration, are yet to decide between the EPR and Westinghouse’s rival AP1000 reactor. Professor Keith Ridgway CBE, programme director of the Nuclear AMRC, commented: “We are delighted to hear this news, which effectively kickstarts the new nuclear build programme. A key route for UK manufacturers into the supply chain for Areva and Rolls-Royce is the Nuclear AMRC’s Fit For Nuclear programme. Both Areva and Rolls-Royce are founding members of the Nuclear AMRC. Rolls-Royce’s work for Areva is likely to be based at its proposed new facility on the Advanced Manufacturing Park, Rotherham, alongside the Nuclear AMRC. “This means a great deal to the regeneration and perception of South Yorkshire as a high value manufacturing region,” Professor Ridgway commented. 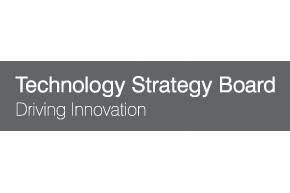 The Nuclear AMRC is proud to host this showcase event for the Technology Strategy Board. Collaboration Nation: Nuclear R&D will showcase innovative products being developed by the winners of the TSB’s nuclear R&D feasibility studies competition. The projects cover a range of areas including modular construction for nuclear facilities, robotics, non-destructive testing for new-build, and waste management. Attendees will hear short presentations on each winning project, and have the opportunity for one-to-one discussions and networking. Information will also be available about potential future nuclear R&D funding opportunities for UK businesses. The event is aimed at companies and organisations which are currently active or interested in the nuclear supply chain, and researchers and businesses with a serious interest in nuclear R&D.